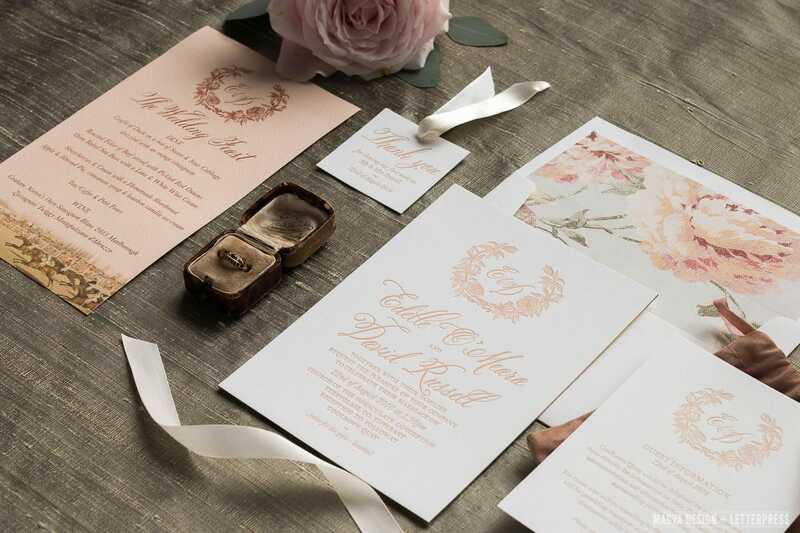 The perfect way to announce your upcoming wedding and give your guests a glimpse of the styling for the occasion is with the vintage craft of letterpress printing. Wedding invitations and stationery printed using this age-old technique and luxurious 100% cotton papers have a beautiful letterpress impression giving them a timeless elegance that your guests will not only see but will touch and feel also. This impression showcase’s your wedding details in the most delicate and elegant fashion and expresses the specialness of the occasion. Visits to our letterpress studio are by appointment only. 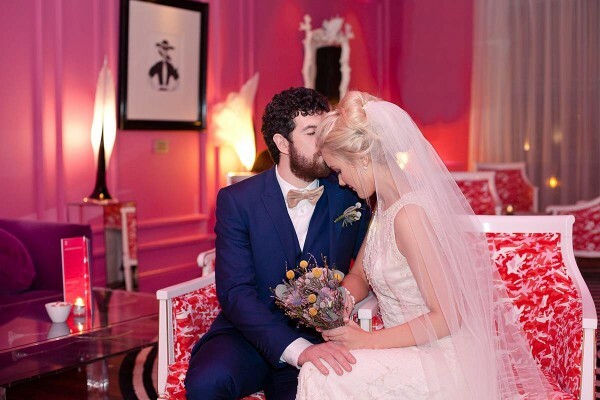 To arrange a wedding stationery viewing, book an appointment or to discuss your requirements please contact us on 087 417 1940 or by clicking the link below. 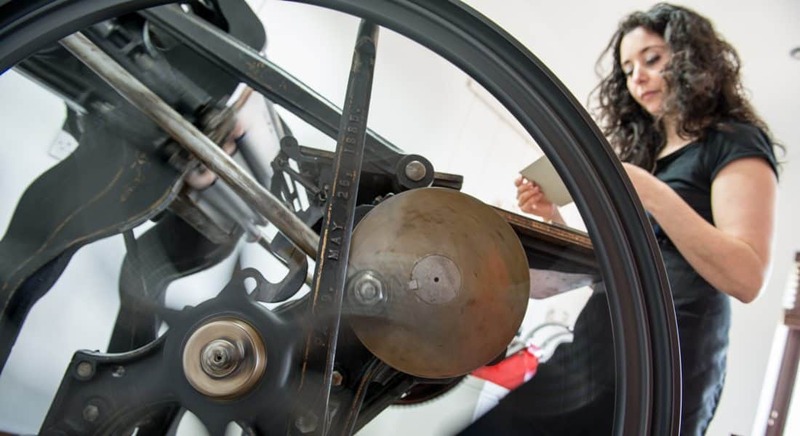 Letterpress printing is a labour of love and such a beautiful craft. It is a traditional hands-on printing technique that requires lots of time and patience to get the print just right. The process uses relief printing plates, where a raised surface is inked with a roller and then pressed into the paper making a debossed impression. The result is a print that engages your senses; not only do you see the print, you can also touch and feel it. 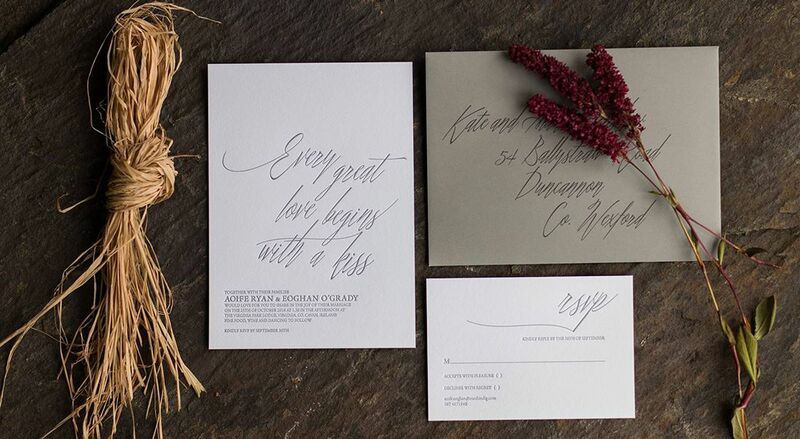 MAGVA Design + Letterpress is a boutique letterpress design and print studio based in the centre of Ireland specialising in crafting beautiful wedding invitations, stationery for all occasions and commissioned prints. We care about creating one of a kind printed materials and stationery for weddings, special occasions and other social and personal stationery. 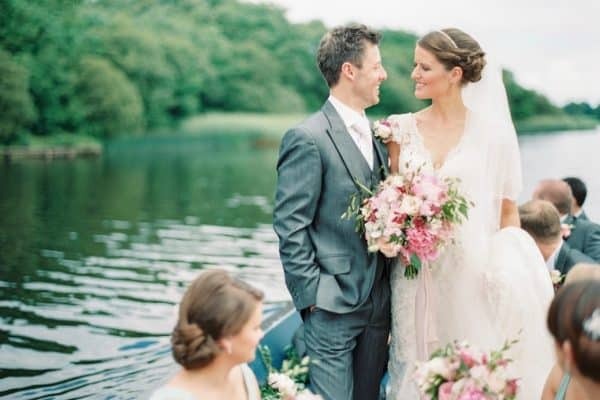 We take great pride in lovingly handcrafting and printing your letterpress wedding stationery the old fashioned way on our antique letterpress’s. 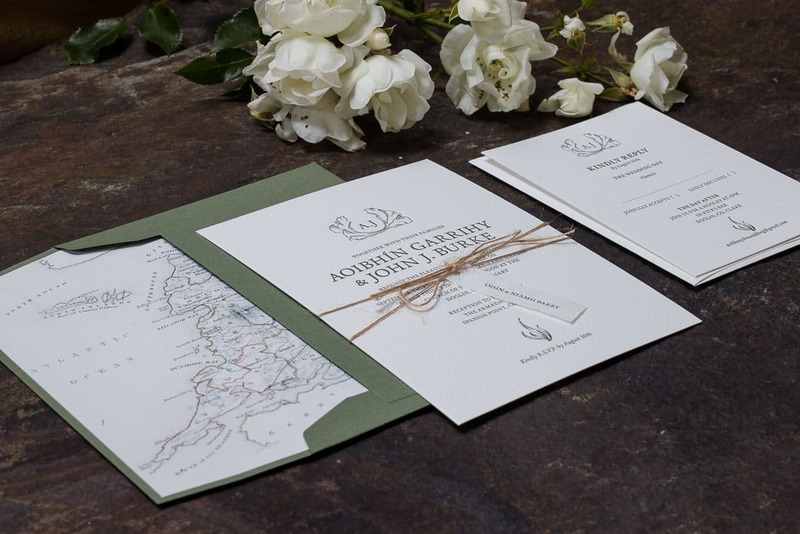 To ensure that your wedding stationery makes the right first impression we only print onto beautiful 100% cotton papers that are luxuriously soft, pillowy and give a beautiful letterpress impression. To complement these letterpress papers, we supply matching 100% cotton envelopes as standard with all our wedding invitations and rsvps. At MAGVA Design + Letterpress we provide a very personal experience from the first consultation to the final delivery of your letterpress stationery. While we do offer a small collection of studio designs we often create a bespoke design that is unique and personal to you and your day. You can view our full range of studio designs on our wedding invitations page and a selection of our bespoke stationery on our Just for You page. Where do I begin with Antonella and MAGVA Design + Letterpress? From the moment I attempted to articulate what it was we wanted it was as though she read our minds! She just got it! Not only that, but she came back with suggestions and designs that way exceeded our expectations. Her attention to detail, her presentation, her efficiency (at any hour of the night! ), her obvious love for what she does and her understanding of the significance every aspect of the prep is for a bride was amazing! We wanted our invitations to set the tone for the day celebrating our love of Co Clare, the location and all it has to offer and Antonella went above and beyond in terms of research and design in order to achieve that. The result was incredible and the response from our guests so special. It was the first impression of a weekend John and I are very proud of and we think it was the perfect fit. Thank you so much Antonella. 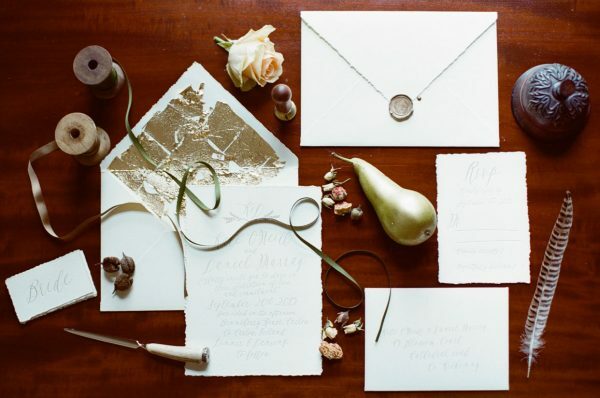 Gorgeous stationery was always important to me, so in Antonella, of MAGVA Design + Letterpress, I met a kindred spirit. She designed and printed perfect menus, place cards and mood signage, all expressing our design aesthetic and personality, using textural cotton paper and showing the most expert artisanal skill. The whole experience of working with you was a pleasure. On so many occasions you went above and beyond. You were helpful, patient, reliable, calm, understanding and really made the whole process so easy for us. And then on top of all that the invites are amazing!